On Friday 1st February I will be donating my time to support Moelyci Environmental Centre. They are one of my primary local suppliers and hold the unique title of being the first community owned farm in the UK, a model which has helped and inspired other similar and perhaps more well-known projects such as Fordhall in Shropshire (which was England’s first community owned farm). Moelyci is a very special place. As a pioneering community enterprise where every member is an equal (whoever they are and whatever their background) it is a shame it has never been able to reach its full potential. There are many reasons for this, but a significant one is their lack of working capital. The future vision is there but with high mortgage payments, little spare income to increase staffing levels, geographical isolation and perhaps a certain lack of effective marketing its true potential has not yet been realised. As a working farm it has always been at ease with its small, sustainable, peaceful cooperative ethos but sadly now that is not enough. The present economic climate is making life difficult for businesses small and large to survive. Moelyci like many non-profit making social enterprises are struggling for survival and as someone who works closely with and respects their work, the last thing I, or the rest of the community want to see is another community enterprise go under.The likelihood is that the land would be lost to developers and the mountain no longer accessible for the community. We are all working hard to save the centre and I am helping in any way I can. Their situation is precarious but not yet dire; they survived Christmas due to a local groundswell of support and a huge amount of voluntary action, but we need more of this. The building of a much-needed education centre (and one which has taken up a lot of the financial reserves) is one step to bringing in new and increased revenue, the mortgage is paid up til March, a green burial site is in preparation, but the bills are still mounting and the regular members of staff have all been on reduced hours since the end of November to meet financial commitments around the farm. 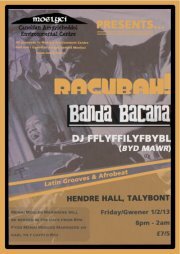 So now I have said all this all I can add is that….If you are local come and join us for a night of food (local Menai moules mariniere with bread) and quality music in the form of Bandabacana and the Racubah DJ’s; two prodigious local talents and purveyors of dance, funk and afro-latin grooves. 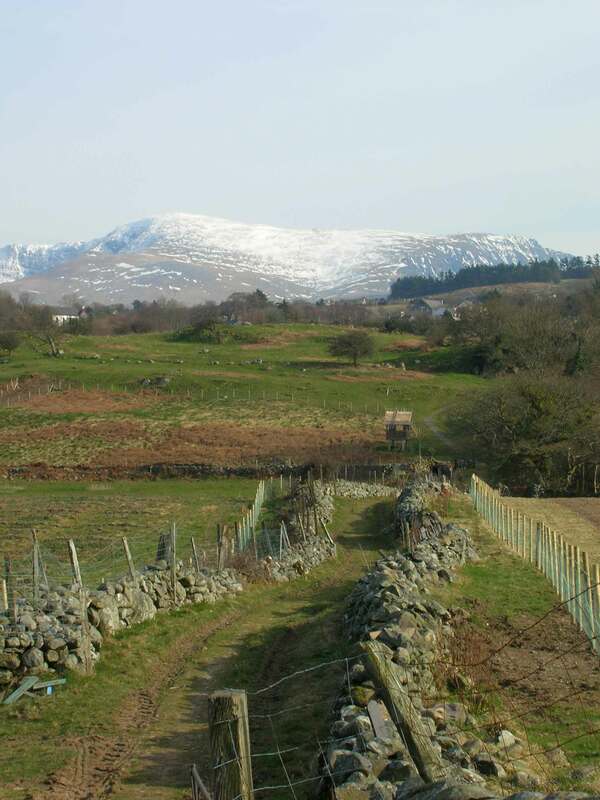 If you are not local maybe you could spare a few pounds to help us buy the mountain and farm. 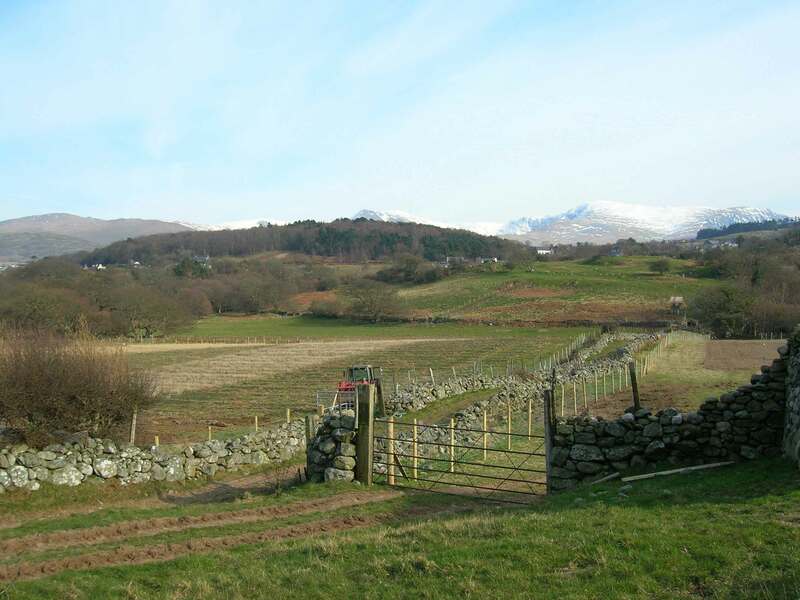 Money raised will enable us to finish building the barn and allow us to forge ahead with future developments that will ensure sustainability, so the local (and wider) community can continue to enjoy this beautiful Welsh mountain farm.